With Halloween done, and Thanksgiving coming up fast, it’s definitely coat weather. 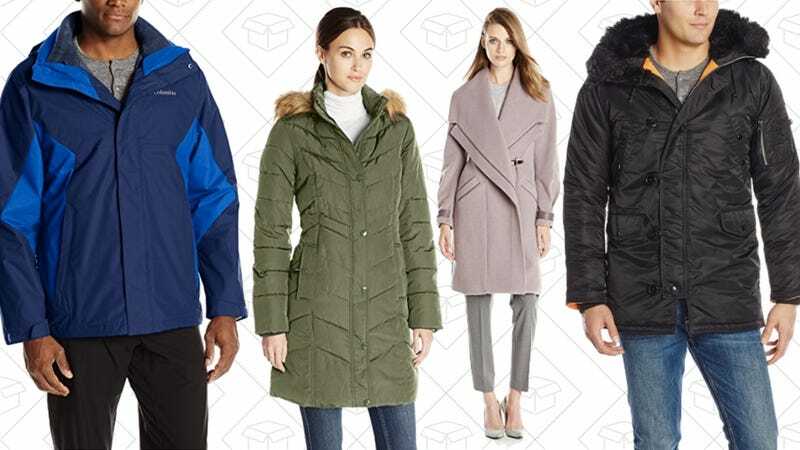 But if you just haven’t gotten around to getting a coat or jacket for the fall, Amazon’s giant coat and jacket sale can help. Men’s, women’s (both straight size and plus) boys’, and girls’ coats are marked down. But this sale is just 24-hours, so if you don’t grab a coat today, you may end up standing out in the cold.